Join our Friends of Hope Monthly Giving Plan. Memorial Gifts in memory of a loved one. Celebrate a birthday, wedding or anniversary with a donation to our works in Africa. Matching Gift -make your donation count twice. Ask your employer about a Matching Gift Program. Stock Donation -appreciated securities: stocks, bonds or annuities provide the same benefit as a cash gift. Life Insurance -if you have a life insurance policy consider naming the Missionaries of Africa as a beneficiary. 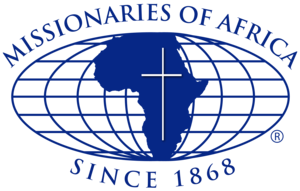 Bequests – consider naming the Missionaries of Africa in your will. With your help, we can provide these basic necessities for those who need them most! Whichever method you choose for making your donation, please be as generous as you can. The people of Africa have suffered too long! God bless you for your kindness. It is simple, easy, and secure to donate online through our website. You can donate on a one-time or monthly basis using a major credit card or e-check. Click the button below to give today. All of our missionaries are Roman Catholic priests. While these men live and work among the poor in some of the most remote corners of the world, each of them is willing to serve the spiritual needs of others as well.In their daily prayer life, our missionaries gladly remember the needs and intentions of individuals like you – men and women who have written to us asking for prayer. Click below to submit your mass request. Did you know you could help the Missionaries of Africa by incorporating us in your will or by donating via a Charitable Gift Annuity or Charitable IRA Rollover? Click below to learn more. Make a contribution by phone using your major credit card. To support the work of our Missionaries by making a donation using your VISA, MasterCard or Discover credit card, please call toll-free (877) 523-4MOA Monday through Friday 8:00 a.m. through 4:00 p.m. EST. You may also call this telephone number to have your name added to our mailing list.